Blondie and Brownie: Cookie, cookie, cookie time! 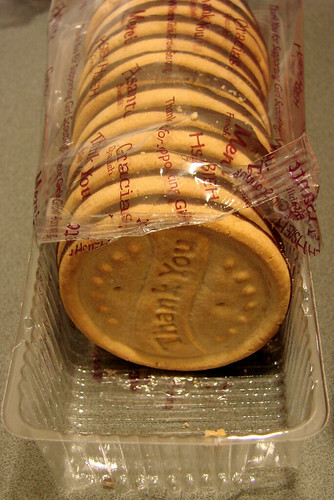 I'll admit my first time visiting the cookie cupboard I was expecting a Willy Wonka-ish experience wandering around a room filled to the ceiling with Trefoils, Thin Mints and Tagalongs. Alas, when you go up to pick up your cookies they don't actually bring you back to where the cookies are stored. You just wait in the reception area and a Girl Scout Council employee will bring you your treats. 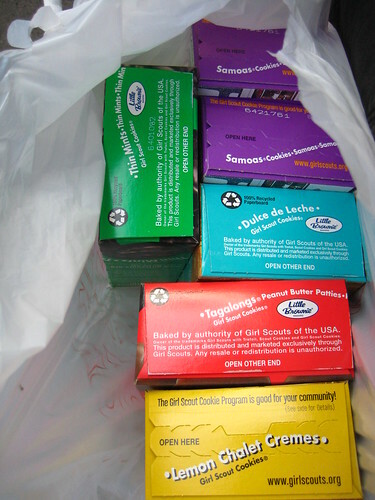 Cookies are $3.50 per box. Bring cash. The money collected from the Cookie Cupboard goes back to the NY Council, not a specific troop.